A three-CD/DVD set available in Blu-ray and digital formats, Leonard Cohen: Live in Dublin marks the first time a concert performance from the iconic singer-songwriter has been shot in high-definition. Filmed on Sept. 12, 2013 at Dublin's 02 Arena, the concert features an 11-song first set, a 10-song second set, and an eight-song encore. The performance was part of Cohen's sold-out 2012 - 2013 world tour in support of his 2012 studio album, Old Ideas. The DVD features bonus live tracks recorded in Canada in 2013. 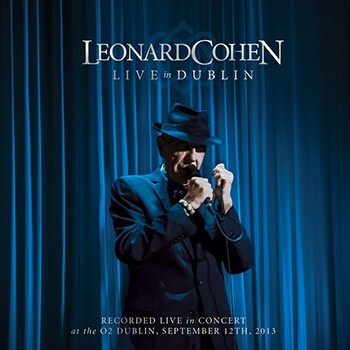 For the Dublin concert, the then 78-year-old Cohen and his band perform deeper cuts from studio albums such as New Skin for the Old Ceremony (1974), Recent Songs (1979), and Ten New Songs (2001), alongside his best known songs. And, yes, "Hallelujah" is included. One of the sonic touches I've enjoyed about Cohen's musical output through the years has been his use of female backing vocals. For the Dublin concert, vocalists Sharon Robinson and sisters Charley and Hattie Webb are prominently featured throughout. 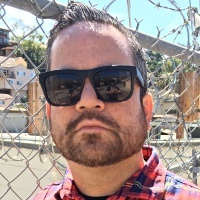 Robinson handles lead vocal duties on "Alexandra Leaving," a song she co-wrote with Cohen from his aforementioned Ten New Songs album, and based on a poem by Constantine P. Cavafy. The Webb Sisters turn in a stunning performance of "If It Be Your Will." It's a Leonard Cohen concert, so don't pick up a copy of Live in Dublin expecting an elaborate light show or other rock show-like histrionics. Like his beloved discography, Live in Dublin is all about the man's elegiac lyrics, and his evocative melodies.